Sam Smith is no longer looking for romance and would rather just "hang out" with someone. Bonnie Raitt will return to the road in support of her upcoming album Dig in Deep from March through May. 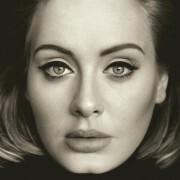 Adele doesn’t think she would have returned to music if she hadn’t become a mum. CeeLo Green, the voice and acclaimed songwriter behind skyscraper hits ‘Forget You’ and ‘Crazy’, will receive an Outstanding Achievement Award at the 20th MOBO Awards in celebration of his stellar contribution to music of black origin. Gwen Stefani is "just trying to have fun" following the breakdown of her marriage to Gavin Rossdale, admitting life "blew up in my face". 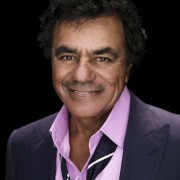 The house that Johnny Mathis has owned for over fifty years was destroyed Monday evening in a fire. Justin Bieber is no longer on formal probation after impressing officials with his behaviour following his 2014 arrest for vandalism. Nick Jonas' new album is inspired by "challenging moments" in his life. The Moody Blues are returning to the U.S. this coming March. On October 23, 2013, the Los Angeles Philharmonic and the Los Angeles Master Chorale performed Frank Zappa's 200 Motels (The Suites) at the Walt Disney Concert Hall in L.A.
Hall & Oates will head back to Madison Square Garden in February for the first time since 1988. San Francisco’s The California Honeydrops will tour the USA with blues legend Bonnie Raitt in 2016. Def Leppard are full on anthemic on their new single, Let's Go. British singer Sam Smith’s new track is the saddest song he has ever written. Rolling Stone Keith Richards was so terrified of being robbed during drug deals that he went to the meetings armed with a gun. Paul Weller relives his solo career in rare and unseen photographs by Lawrence Watson, and over 40 minutes of exclusive video footage. Guy Garvey used to think alcohol helped him to write songs. Rihanna is not happy with her new album and doesn't believe it's ready for release, according to her father. Has Tom Jones Really Lost The Plot?